The president of the Russian-Chinese Tourism Association positively has outlined his views on the conditions of the cultural exchange between Russia and China, saying the bilateral tourist flow to increase. Jason White — Sputnik has interviewed Yurey Tsurkan, the President of the Russian Chinese Tourism Promoting Association, on the sidelines of the Forum of Touristic Industry Professionals held in Moscow on December 11-12. Sputnik: Please explain and give a quick overview of your association. What is your key facilitation? Yurey Tsurkan: The services between Russia and China are driven by the cultural approach as one of the most profitable and reasonable at this moment, that’s why our association started developing programmes connected to main cultural ideas and the routes exchange between China and Russia including the One Road One Belt project which was recognized as a basis for both sides. On the Chinese side they have the Great Silk Way and the Great Tea Way and on the Russian side they have the Amber Way and the Gastronic Way and are moving forward with them. Therefore this is now a two-way track. In this case, our approach is to facilitate the flow of people and trade between the two countries; to give people more opportunities for developing not just friendly ties but business ties too, with the ability to have goods service in a good environment. So our programme of safe and comfortable facilities for foreigners was fixed around the hotline phone to assist the Chinese people in whatever eventuality. This is not the only thing. 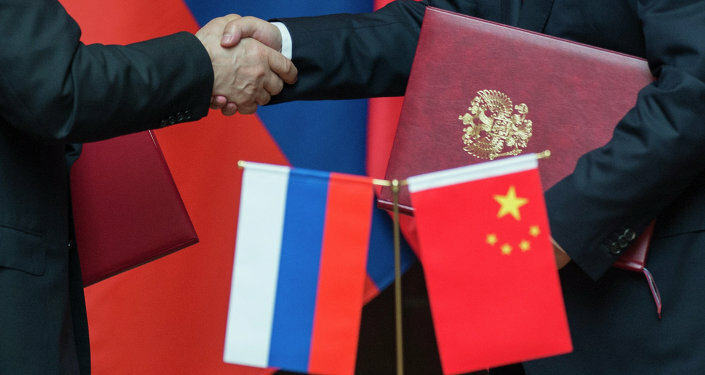 We are the public organization and we have the necessary infrastructure backed up by a website and hotline to aid and support the Chinese business people and tourists when they come to Russia. — AFP news agency (@AFP) 15 мая 2017 г.
Sputnik: How many Chinese tourists do you anticipate will visit Russia during the World Cup 2018? Yurey Tsurkan: This year we have around 600000 Chinese tourists visiting Russia. The interesting thing is the figure is increasing by 30% every year. Therefore, we are very pleased with the annual increase in this figure and the potential added value it is bringing to the economy via the tourist industry and economic ties that these visits will also initiate. We also need to add here that we have a Hotline to assist visitors and are currently also utilizing the use of students as volunteers to help Chinese speaker tourists we are giving them the opportunity to improve communication between the two countries. We will have three helplines to support travelers. 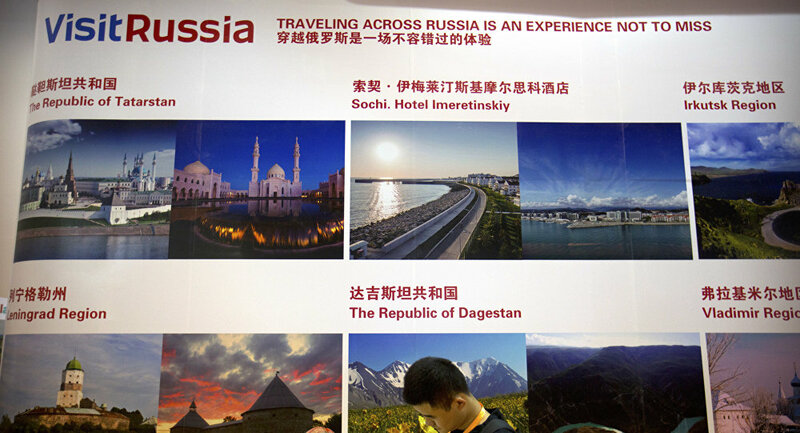 We have 30 businesses and organizations associated with us from the Chinese side and also 55 partners from all over China who have citizens within their towns and cities where they offer support, advice and recommendation services regarding their trip to Russia. Sputnik: What is your particular hope that the 2018 World Cup can affect to further increase and develop your association? Yurey Tsurkan: I can just say that we are developing on a step by step basis and by using young people who speak Chinese they are supporting our integral activity and developing our programmes in line with our specific vision and mission. We are a small association but we feel that none the less it is a vital one in the continued success in reaching out to Chinese individuals business and organizations and offering a hand in hand service to assist their trip here. The bonds and ties will be further enhanced and over a longer period of time, we will see real benefit and growth through this very important marketplace for Russia especially during the World Cup and after it has been concluded.